Lee Mathews' 'Nina' camisole debuted at the Resort '19 show in Sydney, where models walked along a grass runway, capturing the collection's outdoorsy vibe. 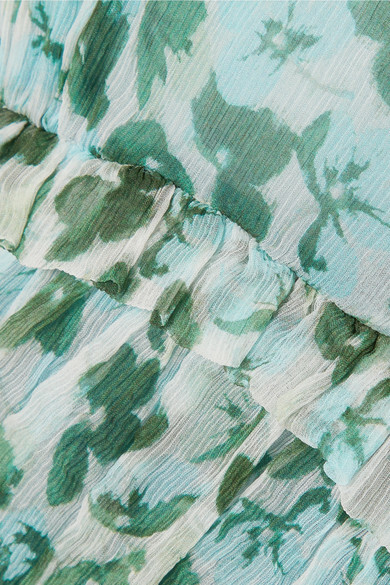 It's cut from whisper-weight crinkled silk-crepon printed with the label's pretty 'Clover' motif and accented with a delicate ruffles. Take your cues from the designer and style it with a sun hat and tiered skirt. Shown here with: Jacquemus Jeans, Cult Gaia Clutch, The Row Sandals, Alighieri Necklace, Alighieri Earrings.